A broken cooling water pump at Fermi 2 yesterday plus 60% lost safety data today. Airflow and quality problems at Kewaunee and Three Mile Island. Drugs at Saint Lucie in Florida and alcohol at Nine Mile Point 1 in New York and at Braidwood in Illinois. And four workers injured at Callaway in Missouri. Apparently nuke employees can get terminated for off-site recreational drug use, but not for fires or broken equipment. This entry was posted in Air, Nuclear, Safety, Water and tagged Air, Alcohol, Braidwood, Callaway, cooling, drugs, Fermi, fire, Georgia, iodine, Kewaunee, LAKE, Lowndes Area Knowledge Exchange, Lowndes County, Nine Mile Point, Nuclear, Safety, Saint Lucie, Three Mile Island, Valdosta, Water on April 5, 2013 by John S. Quarterman. A writer for Forbes spells out the question of nuclear investment: how can something that expensive, over-budget, late, and phenomenally risky be a good investment, especially when cheaper and faster energy sources are readily available? Peter Kelly-Detwiler wrote for Forbes today, New Centralized Nuclear Plants: Still an Investment Worth Making? Just a few years ago, the US nuclear renaissance seemed at hand. It probably shouldn’t have been. Cost overruns from Finland to France to the US were already becoming manifest, government guarantees were in doubt, and shale gas drillers were beginning to punch holes into the ground with abandon. Then came Fukushima. The latter proved a somewhat astonishing reminder of forgotten lessons about nuclear power risks, unique to that technology: A failure of one power plant in an isolated location can create a contagion in countries far away, and even where somewhat different variants of that technology are in use. Just as Three Mile Island put the kaibosh on nuclear power in the US for decades, Fukushima appears to have done the same for Japan and Germany, at a minimum. It certainly did not help public opinion, and at a minimum, the effect of Fukushima will likely be to increase permitting and associated regulatory costs. He goes into detail: they take too long (while gas and solar got cheaper), they’re extremely expensive to build and run, and they’re all-or-nothing investments. This entry was posted in Activism, Code Enforcement, Economy, Environment, Ethics, GA PSC, Georgia, Georgia Power, Government, History, Nuclear, Planning, Politics, Pollution, Safety, Science, Sustainability, Transparency and tagged Activism, Analysis Group, Chernobyl, Code Enforcement, Dominion Resources, Duke, Economy, Electricite de France, Environment, Ethics, Exelon, Finland, Flamanville, France, Fukushima, GA PSC, Georgia, Georgia Power, Germany, Government, History, Japan, Kewaunee, LAKE, Levy, Lowndes Area Knowledge Exchange, Lowndes County, MIT, NRC, Nuclear, Planning, Politics, Pollution, Progress Energy, Safety, Science, Southern Company, Sustainability, Texas, Three Mile Island, Transparency, Valdosta, Vogtle, Wisconsin Plant Vogtle on January 15, 2013 by admin. Southern Company's new nukes are delayed at least fifteen months, at least a billion over budget and rising, and not organized to meet safety filing requirements, yet the Georgia PSC yesterday let SO pass the buck to contractors and Georgia Power continue charging customers for that boondoggle, despite 40 to 1 opposition from attendees. An independent auditor told utility regulators Plant Vogtle construction will be delayed at least 15 months and go millions of dollars over budget. Nuclear engineer William Jacobs said poor construction material, contractor mistakes and oversight delays will mean the Unit 3 reactor won't be ready until July of 2017. That's 15 months later than planned. “It's taken eight months to handle paperwork deficiencies?” asked Bobby Baker, a former PSC commissioner who now represents Resource Supply Management, an energy consultant that works with large commercial, institutional and industrial electric customers. This entry was posted in CWIP, Economy, GA PSC, Georgia, Georgia Power, Government, History, Nuclear, Planning and tagged Bobby Baker, boondoggle, cost, CWIP, Doug Everett, Economy, GA PSC, Georgia, Georgia Power, Government, History, LAKE, Legislature, Lowndes Area Knowledge Exchange, Lowndes County, Moore's Law, Nuclear, overrun, Planning, Plant Vogtle, regulatory capture, Southern Company, Three Mile Island, Tim Echols, Valdosta, William Jacobs on December 19, 2012 by admin. ENENews reported today that Just 0.8% of children in 2001 Japanese control group had thyroid cysts or nodules — 36% in Fukushima study. Is that a risk we want in Georgia from the new nukes at Plant Vogtle? How about we deploy wind and solar instead, faster, cheaper, and on time, plus solar or wind spills do not cause thyroid cysts. Now you may say there’s little chance of similar problems in Georgia, since Southern Company CEO Thomas A. Fanning assured us Plant Vogtle is 100 miles inland where there are no earthquakes. Still, the same could have been said of Chernobyl. And TEPCO back in 2001 reassured everyone that tsunamis were not a problem for Fukushima. Economics, as in the stealth tax rate hike, $8.3 billion loan guarantee, cost overrun passthrough boondoggle sucking up money that could be going to make Georgia a world leader in solar and wind for jobs, energy independence and profit, is the main point. 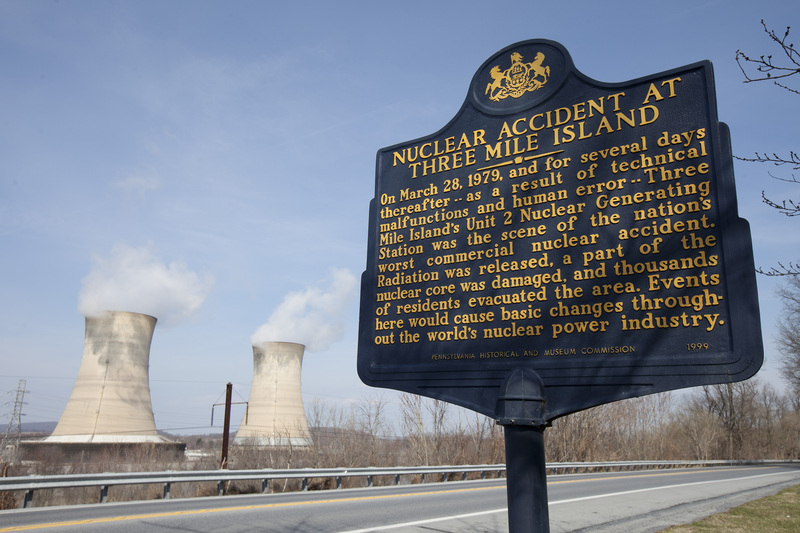 But let’s not forget the health risks of nuclear power, from Three Mile Island to Chernobyl to Fukushima. Or Southern Company’s Plant Hatch, for that matter, leaking radioactive tritium into the ground water 90 miles from here. No tsunami and no earthquake was required to produce that leak. It’s our money and our families’ health Southern Company is experimenting with. This entry was posted in Air, Economy, Georgia, Georgia Power, Health Care, History, Nuclear, Planning, Pollution, Renewable Energy, Solar, Transparency, Water, Wind and tagged Air, cancer, Chernobyl, children, Economy, Fukushima, Georgia, Georgia Power, groundwater, History, Japan, LAKE, Lowndes Area Knowledge Exchange, Lowndes County, Nuclear, Planning, Plant Hatch, Plant Vogtle, Pollution, radioactive, Renewable Energy, Solar, Southern Company, Three Mile Island, thyroid, Transparency, tritium, Valdosta, Water, Wind on July 16, 2012 by admin. Southern Company might want to pay attention to this story about shareholders protesting the owner of the radiation-leaking Fukushima nuclear plants complaining in record numbers. Or SO shareholders might want to pay attention. Anger against the company has intensified, after it released an in-house report into the disaster, in which it denies ever hiding information and blames the Japanese Government for confusion and delays. In its 352-page report, TEPCO also claims that on March 13, less than 48 hours after a massive tsunami slammed into the Fukushima nuclear plant, it dispatched employees to the village of Namie, just a few kilometres north-west of the plant, and right in the path of the approaching radioactive plume. But Tamotsu Baba, the mayor of Namie, has told the ABC’s AM that claim is a lie. “TEPCO’s report says that on the 13th of March their employees visited our offices to explain the situation,” he said. “We were never visited by anyone from TEPCO. Nor was the situation explained to us. This entry was posted in Activism, Ethics, Georgia Power, Nuclear, Planning, Politics, Pollution, Safety, Transparency and tagged Activism, Chernobyl, Ethics, Fukushima, Georgia Power, Namie, Nuclear, Planning, Politics, Pollution, Safety, Southern Company, TEPCO, Three Mile Island, Transparency on June 27, 2012 by admin. A one-paragraph law can do it; that’s all it took in New Hampshire to ban Construction Work in Progress (CWIP) after Three Mile Island. OK, plus a state Supreme Court ruling, but that would be easier in Georgia since the New Hampshire Supreme Court already set a precedent of upholding the NH law. After Fukushima, Georgia could ban CWIP and end the new Plant Vogtle construction. The we could get on with building solar. Simple enough. The Georgia legislature could do it. Knowing the NH CWIP ban caused PSNH to go bankrupt on costs for the Seabrook nuclear plant, Georgia Power might back off on Plant Vogtle rather than have such a law passed. This entry was posted in Activism, Community, CWIP, Economy, Georgia, Georgia Power, History, Law, New Hampshire, Nuclear and tagged bankruptcy, Chapter 11, Construction Work in Progress, CWIP, Dr. Sidney Smith, Economy, financing, funding, Great Depression, late, New Hampshire, No Nukes, Nuclear, over budget, PSNH, Public Service Company of New Hampshire, Seabrook, solartopia, Three Mile Island, Wind on March 13, 2012 by admin. Why were only 12% of the projected 1000 nuclear plants built in the U.S. by the year 2000? Because of the no nukes movement started in Seabrook, New Hampshire in 1977. And because New Hampshire banned CWIP. Here in Georgia in 2012 we can cut to the chase and do what they did that worked. Thirty years ago this month, in the small seacoast town of Seabrook, New Hampshire, a force of mass non-violent green advocacy collided with the nuke establishment. A definitive victory over corporate power was won. And the global grassroots “No Nukes” movement emerged as one of the most important and effective in human history. It still writes the bottom line on atomic energy and global warming. All today’s green energy battles can be dated to May, 13, 1977, when 550 Clamshell Alliance protestors walked victoriously free after thirteen days of media-saturated imprisonment. Not a single US reactor ordered since that day has been completed. Richard Nixon had pledged to build 1000 nukes in the US by the year 2000. But the industry peaked at less than 120. Today, just over a hundred operate. No US reactor ordered since 1974 has been completed. The Seabrook demonstrations—which extended to civil disobedience actions on Wall Street—were key to keeping nearly 880 US reactors unbuilt. The only new nukes ordered since then are the ones Georgia Power wants to build at Plant Vogtle on the Savannah River, for which Georgia Power customers are already getting billed Construction Work in Progress (CWIP). This entry was posted in Activism, Coal, CWIP, Economy, Georgia, Georgia Power, Government, History, Law, Lower Rates for Customers LLC, New Hampshire, Nuclear, Planning, Politics, Renewable Energy, Solar, Wind and tagged bankruptcy, Chapter 11, Construction Work in Progress, CWIP, Dr. Sidney Smith, Economy, financing, funding, Great Depression, late, New Hampshire, No Nukes, Nuclear, over budget, PSNH, Public Service Company of New Hampshire, Seabrook, solartopia, Three Mile Island, Wind on March 12, 2012 by admin. How and why did New Hampshire ban CWIP? the first investor-owned utility since the Great Depression to declare bankruptcy. Seabrook was the last nuclear reactor built in the United States. Until now. In Georgia. Which has CWIP. Maybe we should change that. 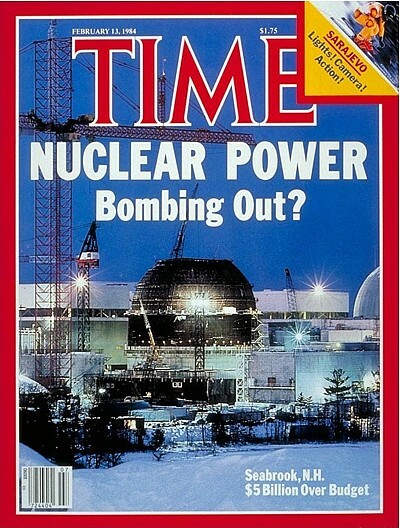 By January 1972 PSNH had decided not only to build a nuclear plant at Seabrook but also to have it consist of two 1,150-megawatt units, to be completed in 1979. PSNH was to own 50 percent of the $1.3 billion project and share the remaining investment with other New England utilities. In January 1974 the New Hampshire Site Evaluation Committee, the Public Utilities Commission (PUC) and other regulatory bodies had issued the basic permits, but interveners in the case succeeded in having the New Hampshire Supreme Court overturn these permits. After repeated appeals and rehearings PSNH received its construction permit in July 1976—and experienced its first protest at the planned site. This entry was posted in Activism, Community, CWIP, Economy, Georgia, Georgia Power, New Hampshire, Nuclear, Planning, Politics, Safety and tagged bankruptcy, Chapter 11, Construction Work in Progress, CWIP, Economy, financing, funding, Great Depression, late, New Hampshire, Nuclear, over budget, PSNH, Public Service Company of New Hampshire, Seabrook, Three Mile Island on March 11, 2012 by admin.